Once you have attended the appropriate Mapped QCF courses or if you are already MCS accredited. The Thermal Earth Training Academy Advanced Manufacturers Training Days are tailored to give you the installer greater knowledge and experience in all our associated products. Courses are delivered by our in house technical team with occasional technical guest speakers from the manufacturers themselves. Thermal Earth are running a 1-day training course with the TECHNICAL DIRECTOR of MasterTherm heat pump systems aimed at designers, specifiers and installers. 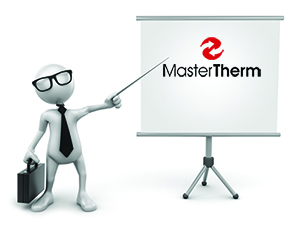 It will cover a range of topics as listed below specific to MasterTherm and their product advantages. - Internet Module Operation and remote fault diagnosis. Training will run from approximately 10am to 6pm. Please book your place please confirm with a member of the team at Thermal Earth as soon as possible.